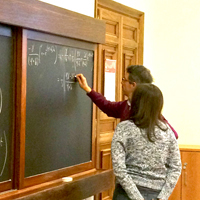 LUISS University hosted the 17th Workshop on “Macroeconomic Dynamics: Theory and Applications”. The event was organized and supported by LUISS University, EIEF and the Bank of Italy. The workshop brought together economists doing frontier research on dynamic macroeconomics. Both theoretical and applied contributions were welcome. Young researchers were particularly welcome. Program. Here you can find information on past meetings. EIEF hosted the “8th EIEF-UNIBO-IGIER Bocconi Workshop on Industrial Organization”. The event was a joint initiative of the Bologna Center for Law and Economics (BCLE - University of Bologna), the Einaudi Institute for Economics and Finance (EIEF) and IGIER-Bocconi. The workshop aims to strengthen the relationship between Italian economists working in the field of Industrial Organization, both in Italy and abroad, by bringing them together to discuss new research. Program. 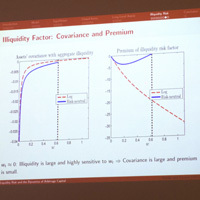 The Bank of Italy, the CEPR and the Einaudi Institute for Economics and Finance have organized a Workshop on “Firm Dynamics and Economic Growth” that brought together leading researchers contributing both theoretically or empirically to the study of firm and industry dynamics, their determinants, and the policies aimed at fostering them. Program. EIEF hosted the presentation of the World Bank Report “Fair Progress? Economic Mobility across Generations around the World” on intergenerational mobility. The report is a joint product of the Research Group and the Poverty and Equity Global Practice of the World Bank and analyses global trends and patterns in economic mobility, using the new Global Database on Intergenerational Mobility (GDIM). The GDIM has unprecedented coverage: for the first time empirical evidence on mobility is available for almost 150 countries, representative of 96 percent of the world’s population. The data suggest that mobility and development go hand in hand. Both absolute and relative mobility are lower in low- and middle-income countries than in high-income countries. Progress towards more economic mobility is slow. Improvements in mobility in the developing world have stalled since the 1960s. Program. EIEF hosted the presentation of a series of studies collected by Economia Italiana on the Italian Jobs Act. The Jobs Act’s aim is to overcome the dualism of the Italian labor market by reforming contractual institutions and by introducing labor active policies. The most recent data is used to evaluate its impact on the Italian labor market so far. Program. The Einaudi Institute for Economics and Finance (EIEF) and Oliver Wyman have organized a lecture on “Law and Order: How Law and Regulation can affect our economies”. The Lecture was given by Luigi Guiso (EIEF) and was discussed by Dr. Dirk Bliesener (Partner, Hengeler Mueller) and Douglas Elliott (Partner, Financial Services, Oliver Wyman). Program. 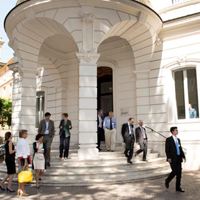 The CEPR Network on Household Finance, the Einaudi Institute for Economics and Finance and the Center for Studies in Economics and Finance, with the support of the Think Forward Initiative (TFI), EDHEC PhD in Finance Programme and the National University of Singapore Business School were the organizers of the 2018 CEPR European Conference on Household Finance. The objective was to present state-of-the-art empirical and theoretical research on household financial behavior and on how it is influenced by other choices, government policies, and the overall economic environment. For further information see the Program . EIEF hosted the conference on “The Economic Determinants of Populism”. The event, jointly organized by the Istituto Affari Internazionali (IAI) and the Einaudi Institute for Economics and Finance (EIEF), explored the economic and financial origins of the populism surge in Europe. In the western world, the so-called “populist” movements have been gaining great support, confirmed by the electoral results of the last two years. The conference will address these questions: what has been the role of the financial crisis and globalization in the surge of populism? To what extent have the employment prospects of voters influenced their political choices? To what extent has the perception of immigrants as potential new competitors on the domestic labor markets contributed to strengthening populist feelings? Among the discussants: Sascha O. Becker, Carlo Bastasin, Luigi Guiso, Paolo Guerrieri, Franco Passacantando and Nathalie Tocci. For further details, see the Program. EIEF hosted the “3rd Rome Junior Conference on Applied Microeconomics”. The aim is to foster interaction and dissemination of research idea among researchers active in different areas of applied microeconomics. The selection of presenters has given preference to faculty at the early stages of their career. The organizers were: Francesco Decarolis (Bocconi University), Thibaut Lamadon (University of Chicago), Andrea Pozzi (EIEF), Gabriella Santangelo (University of Cambridge) and Pietro Tebaldi (University of Chicago). Program. EIEF hosted the “7th Rome Conference on Macroeconomics”, a.k.a. Pizzanomics. The aim is to bring together junior economists from around the world with a strong interest in Macroeconomics, and to generate a friendly environment with intensive interaction, not only during the presentations but also informally before and after. The organizers were: Guillermo Ordoñez (University of Pennsylvania), Luigi Paciello (EIEF), Facundo Piguillem (EIEF), and Nicholas Trachter (FED, Richmond). Program. EIEF hosted the “3rd Rome Junior Finance Conference”. The goal of the conference was to bring together junior researchers active in empirical and theoretical finance and create an opportunity for informal discussions and other academic-related activities. The organizers were: Sergei Kovbasyuk (EIEF), Andrey Malenko (MIT Sloan), Nadya Malenko (BC Carroll), Adrien Matray (Princeton), Anton Tsoy (EIEF), Luana Zaccaria (EIEF). Program. EIEF hosted the “3rd Annual ECOP Workshop” organized by the Toulouse School of Economics (TSE) and the Department of Economics of the University of Bologna (DSE-UNIBO). The workshop brought together researchers working on the Economics of Platforms. Particular emphasis was given to the Industrial Organization of these markets: business models, competitive strategies, as well as antitrust and regulation issues related to platforms' business practices. Leading scholars around the world presented and discussed their latest research in this fascinating and fast-growing area of research. The event was funded by the ERC advanced grant awarded to Bruno Jullien on "Information Services: Competition and Externalities." The organizers were: Özlem Bedre-Defolie (ESMT Berlin), Emilio Calvano (Università di Bologna, CSEF) and Bruno Jullien (TSE). Program. EIEF hosted the conference "Recent Developments in Macroeconomics". 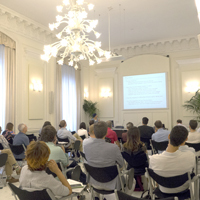 The conference was funded by the ERC Advanced Grants awarded to Francesco Lippi for his research on “The Macroeconomic Effects of Microeconomic Inaction” (n° 324008 - MEF). The organizers were: Fernando Alvarez (University of Chicago), Francesco Lippi (University of Sassari, EIEF), Juan Passadore (EIEF) and Facundo Piguillem (EIEF). Program.